Isaiah recently graduated from the University of Nebraska-Lincoln with a degree in Psychology. As a student, Isaiah played snare drum in the Cornhusker Marching Band, and participated in the Men’s Choir. 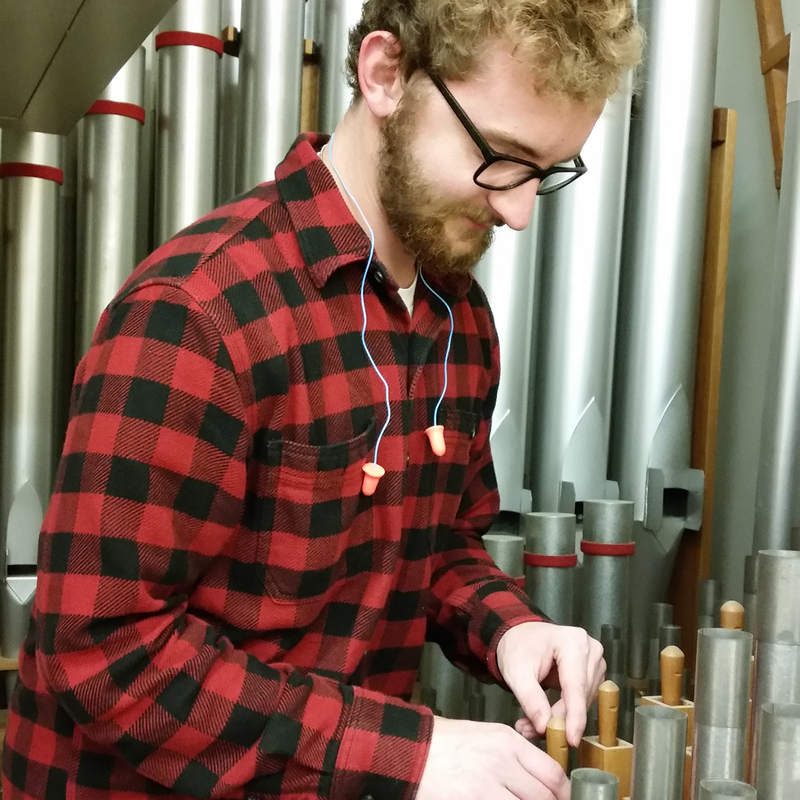 Isaiah became interested in the organ after spending a year in the seminary as an assistant organist, and made a connection with Bedient when they were installing new pipes at the Newman Center. At Bedient, Isaiah does various projects in-shop, assists as a tuner and technician, and also assists with media and file management. In his free time, Isaiah loves to play music, teach drumlines, bike, travel, fix things, attend Mass, and spend time with his family and friends.